The Kaplen JCC on the Palisades presents The Holocaust Remembered, Reality Enhanced, an exhibition of work by Rose Hertzberg (1908-2002), who is considered by many to be one of New Jersey’s most important 20th century artists. The exhibit is conceived from images she retained after seeing photographs of death camps and rescued survivors from WWII and from stories she heard from her father, who lost his entire family in Poland when he immigrated to the United States as a teenager. 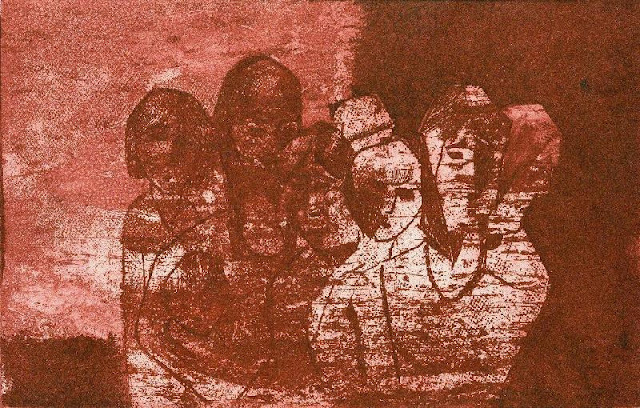 The memory of this horror remained with Rose long after the war ended, prompting her to create the diverse works in this exhibition so that others will continue to remember the Holocaust. This themed body of work evolved over the years and represents the first time that so many of them are being exhibited together. Early pieces, like Mother and Child, are realistically conceived, while works she created during the 70’s and 80’s reflect the Abstract Expressionism she later embraced to allow viewers to interpret and create their own stories. The show will be on display from March 1-30. Born and raised in Paterson, NJ, Rose Hertzberg was drawn to art at an early age and studied with her uncle Abram Champanier, the well-known W.P.A. muralist, and his friend, the influential Yasuo Kuniyoshi. In the 1940s, she studied with the pioneering post-impressionist painter Ben Benn and was introduced to abstraction by Vaclav Vytlacil, Will Barnett and Morris Kantor at the Art Students League in NYC. In the early ‘50s, she was invited to become a private student of the master abstract impressionist, Hans Hofmann, who opened the limitless possibilities of abstract art that she pursued until her passing at the age of 93. 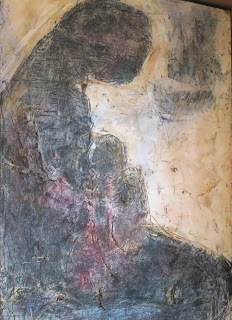 Rose moved to Ramsey, New Jersey, in 1954 and began exhibiting her work. Throughout her career, she held over 30 solo shows and exhibited in hundreds of juried group exhibitions in New Jersey, New York, Spain, Italy, the UK, Venezuela, and the New Jersey Pavilions at two World’s Fairs. Her work has been featured at the Bergen County Museum, William Paterson University, the Johnson Memorial Library in Hackensack, the Fullerton Gallery in Montclair, the Spring Street Gallery in New York, and the Hertzl Institute. In the early 1980s, Rose completed a pictorial music series for a special exhibit at Lincoln Center. Her pioneering torn-paper collages, featured in Buffalo in 1980, sold out to the bare walls. Her work hangs in private collections in Europe, Asia, the USA, Canada and Latin America. She also received awards from the American Watercolor Society and the National Association of Women Artists. A reproduction of “Bull Market,” one of her award-winning collages, is in the permanent collection of the Smithsonian Institute. The Waltuch Art Gallery is a community space that exhibits thematically Jewish artwork, or art produced by Jewish artists. , where JCC membership is not required. Gallery hours are Monday – Thursday, 9 am - 10 pm; Friday and Sunday, 9 am – 5 pm; closed Saturday and Jewish holidays. For more information on gallery exhibitions, contact Nina Bachrach at 201.408.1406 or nbachrach@jccotp.org.